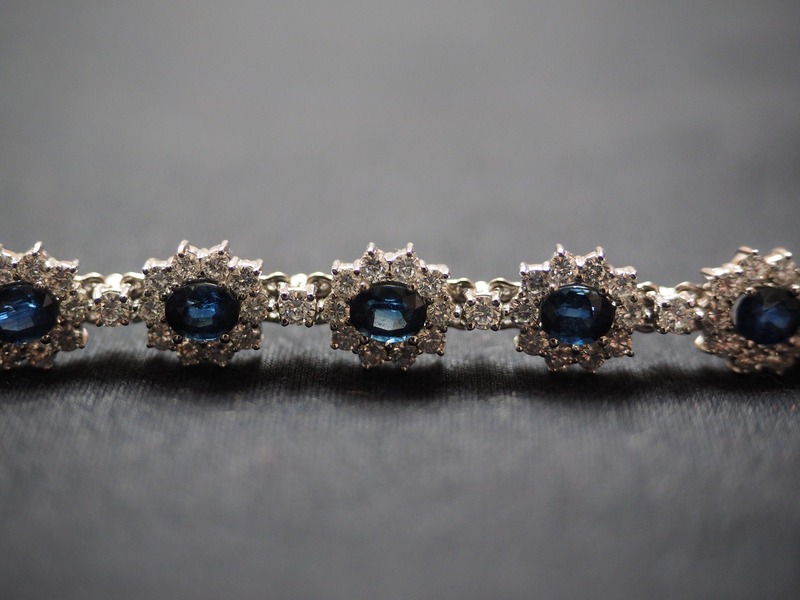 A rare sapphire necklace was the top seller at Christie’s Magnificent Jewels auction in Hong Kong, according to Rapaport. The auction yielded about $60 million in total with 70% of lots sold. The Peacock Necklace, which contains 21 cushion-cut Kashmir sapphires weighing 109.08 carats in total, achieved $15 million at the sale ($137,146 per carat) that made it the most expensive Kashmir sapphire necklace per carat in auction history. Its presale estimate was $12 million to $15 million. The 24.04-carat, fancy-yellow Moon of Baroda pendant, which Marilyn Monroe wore to the premiere of her 1953 movie, Gentlemen Prefer Blondes sold for $1.3 million, smashing its estimate of $500,000 to $750,000. An autographed photo of the actress wearing the necklace, originally estimated at $10,000 to $15,000, went for $35,302. An oval-shaped, 10.04-carat, Burmese pigeon’s blood ruby and diamond ring fetched $7.2 million ( estimated at $6.9 million to $8.7 million). A set of pear brilliant-cut, fancy-pink earrings of 5.21 carats and 5.01 carats brought $4.3 million (estimated at $3.8 million to $4.5 million).